Ready for the Batgirl casting speculation to begin? We can start with this list of actresses that was posted to a Reddit sub-group called DCEU Leaks. The person who leaked the list claimed to be friends with a concept artist who created images of each actress as Batgirl, then shared them with his pal (the artist had better hope he doesn't get caught, since that would probably end his association with the film pretty quickly). Joss Whedon is busy with reshoots on Justice League, but after he's finished with that he will no doubt turn his full attention to writing and directing Batgirl. Still, it's not unreasonable to assume he's already thinking about casting, since that same leaker alleges that Warner Bros. and DC want to reveal the actress playing Batgirl later this month at San Diego Comic-Con. This 21-year-old Australian has only appeared in a handful of independent films, but she made a tremendous and controversial impression in the Netflix series 13 Reasons Why, playing a young girl who commits suicide and leaves behind a set of recordings in which she explains what drove her to it. The leak suggested that Langford is Whedon's top choice for Batgirl. Fanning began her acting career when she was just three, playing the younger version of her sister Dakota's character in the 2001 movie I Am Sam. Sixteen years later, Elle has amassed an impressive list of credits that includes movies like Deja Vu (2006), her breakout role in Super 8 (2011), Maleficent (2014), The Neon Demon and 20th Century Women (both 2016). She can be seen now in Sofia Coppola's The Beguiled. Apparently fans have placed Levy at the top of some of their lists, thanks to her comic turn on Suburgatory and her intense roles in movies like Evil Dead and last year's Don't Breathe. She's got terrific screen presence and lots of personality, which might give her the edge in leading a major superhero blockbuster. She's also shown up recently in Twin Peaks and we'll let her slide on her role in Monster Trucks. 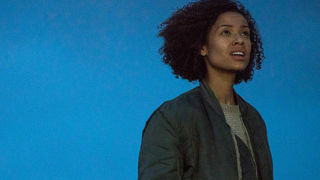 Qualley, daughter of actress Andie MacDowell, earned just her second acting credit as Jill Garvey in The Leftovers, where she made a strong impression on viewers. That led to a featured role in the movie The Nice Guys and several indie films as well. She'll next be seen in Netflix's adaptation of the manga Death Note, which premieres on August 25. Qualley's training as a ballet dancer may help her with the physicality required of any superhero role. The Reddit leak listed a number of other names as well, including Olivia Cooke (Bates Motel, Ouija), Naomi Scott (Power Rangers), Bella Throne (the Scream TV series), Emma Roberts (Scream Queens) and Haley Lu Richardson (Split, Edge of Seventeen). Whether this list proves reliable or not, do you think any of these actresses could be Batgirl? And if not, who would you like to see in the part?